Sessions are best booked two months in advance. 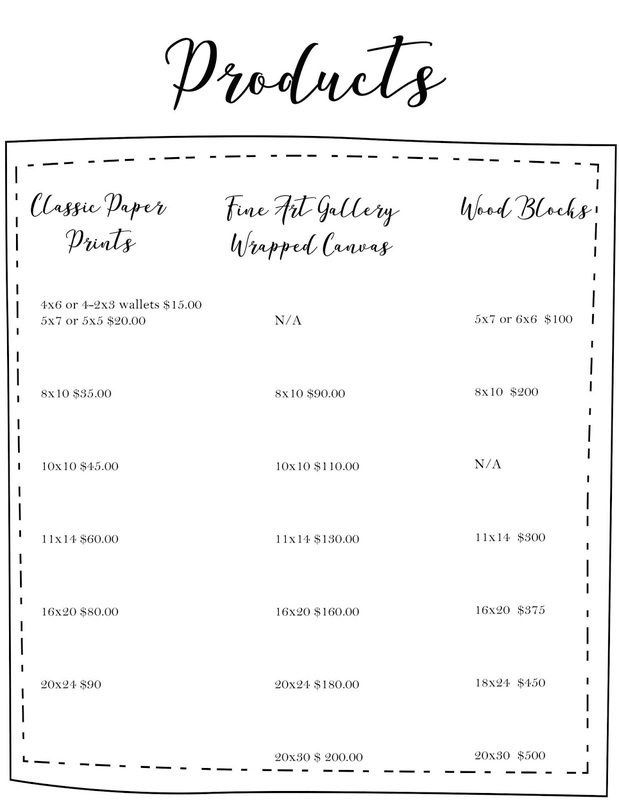 The busiest season for family photography is September through November (December is reserved for newborn babies only), so please reserve a session 5 months in advance during the Christmas Season. Your custom session would initially be planned by booking the session by email or phone consult. We would discuss your session style, location, clothing, and all the custom details about your unique photography style. Session includes photography time within the Tomball area 77375. Any locations outside of Tomball will have additional travel costs depending on mileage and time. Depending on the size of your family, sessions last 1 hour or more for a larger family. 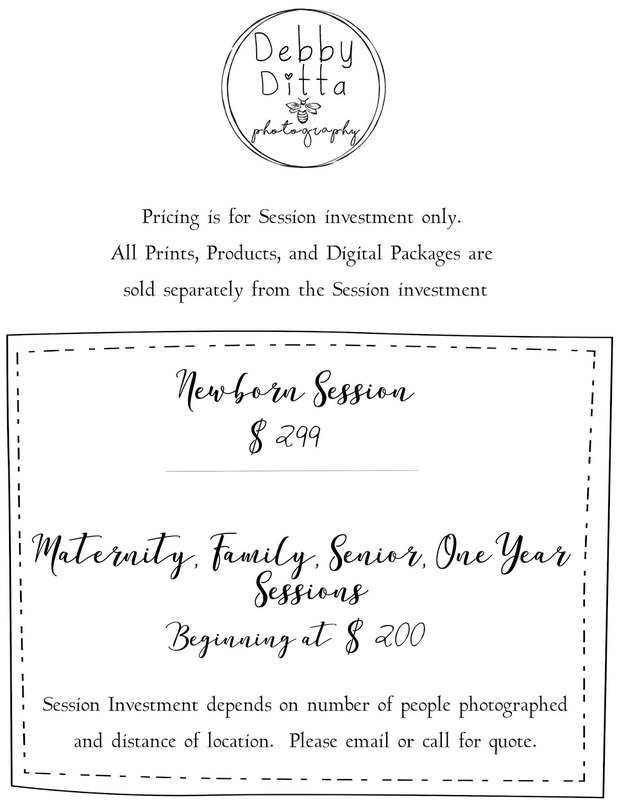 Newborn Session Investment begins at $299 (see Newborns and Maternity Session Tab at top of page) and all other Session investments begins at *$200.00 for a single individual, or a couple, or up to a family of 5. Additional people in family are $25 each (Session ONLY, does not include prints or digital images). Session investment is limited to immediate and extended family only. Included in the package is an online password protected gallery showcasing 40 edited images. About 10 business days after the session, you will receive a link to the gallery with the password to view and share your images. 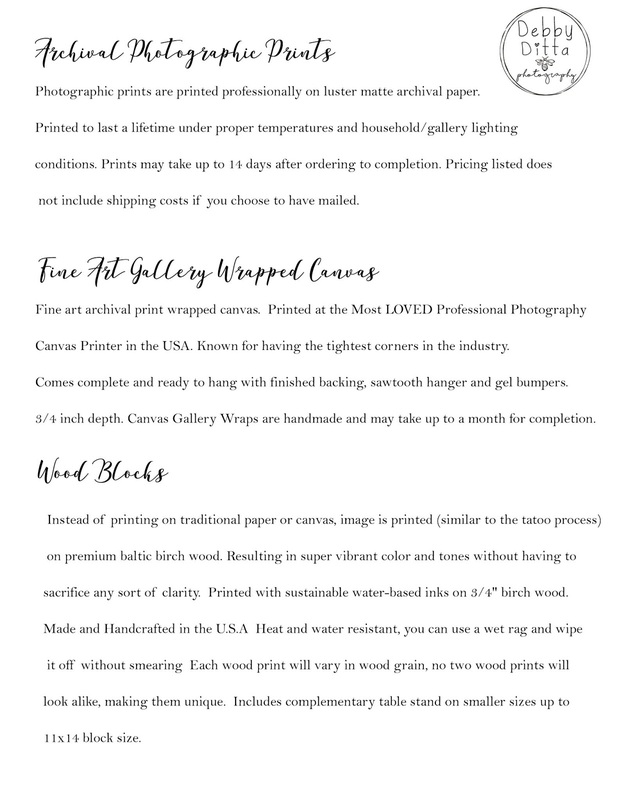 You may order prints and products directly from the site or contact the photographer to place order. A $50.00 NON-REFUNDABLE retainer is required to reserve a session and must be paid within 24 hours of booking. Session will NOT be officially scheduled until retainer has been paid by client. Photographer will not hold a date/time unless retainer payment has been received. In the event of a reschedule on Client's part, another retainer will be reqiured to reserve another date. On the session day will due be the remainder of the session investment payable as cash or check (or Credit Card arrangement through Paypal prior to the session in full). *Tax of 8.25% Texas sales tax will be added to your Products purchase. *Prices are subject to change at any time. A $50.00 non refundable deposit is required to book your session date and locks in the Session investment. 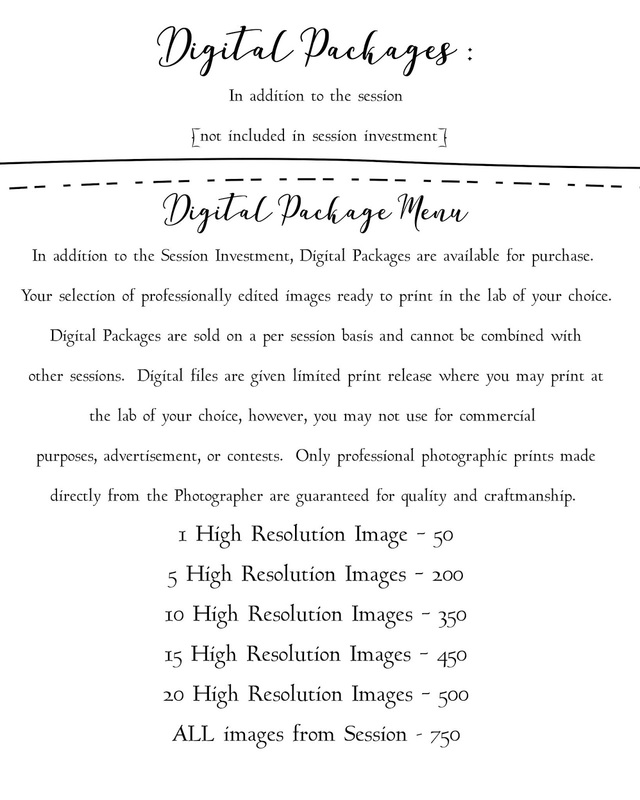 This deposit is applied to your Session costs and remainder is due as cash or check on Session date. In the instance of a client suggested reschedule, another $50.00 non refundable deposit may be required. *In the instance of photographer's illness, freezing temperatures or rain, a reschedule will be necessary and will not requires an additional deposit. Session would be rescheduled at the next available date for client and photographer.